Kleksploitation at the Barbican London! 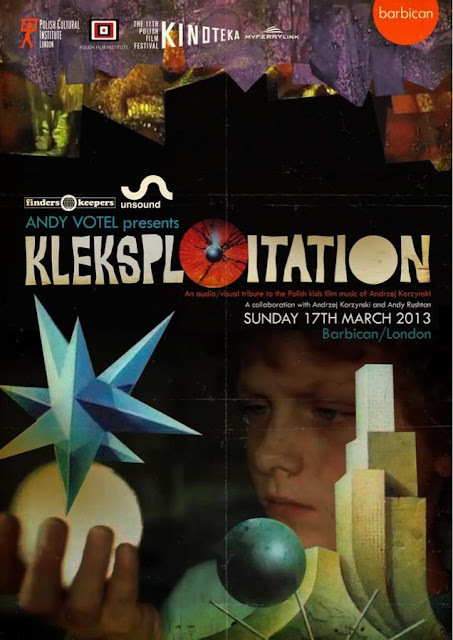 This Sunday at the Barbican Theatre in London...Andy Votel Presents Kleksploitation, Commissioned by Unsound and produced by the Barbican in association with the Polish Cultural Institute in London. If I were in London this weekend, you would find me in the front row. If you, however, are lucky enough to be in Londontown this weekend, get your tickets here.